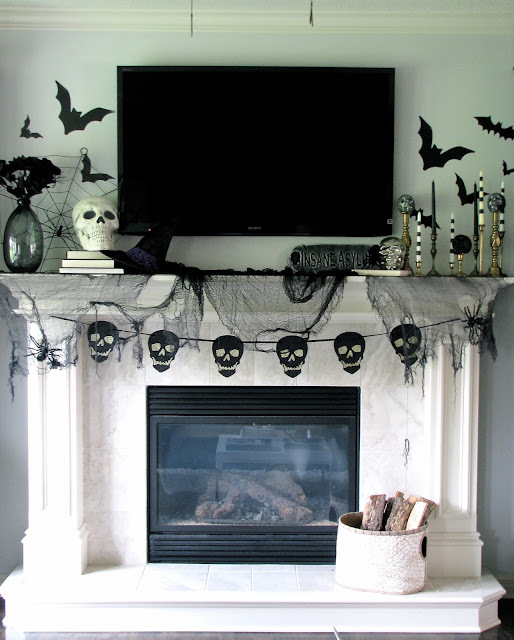 The porch is decorated, candy has been purchased, costumes have been secured, and I finished up decorating the mantel yesterday. We are officially ready for Halloween and it's only the 8th - woo hoo! I don't do a lot of indoor decorating for Halloween. Every year I purchase one or two new things, but I try to keep in centralized to one area to keep it easy. This year the mantel is black/white and super gaudy, which is super fun for me!